OUR PRIORITY IS YOUR COMPLETE SATISFACTION! 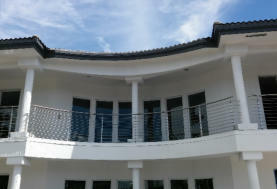 Quality Railings Miami can provide any metal works build to meet your needs. We fabricate custom metal work for your home, new construction, residential & commercial. We seek to achieve the highest levels of distinction in the quality and architectural beauty of services at very competitive prices. Our quality of service and affordable prices would definitely surprise you. 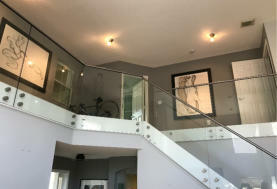 We specialize in stainless steel stairs, railings, glass, stainless steel wire and balconies. We have provided quality and affordable services for years in South Florida. We have the knowledge and support to make certain the job’s done right and fast. All you got to do is make a phone call, and tell us about your needs. We are here to make sure you’re happy and satisfied with our services. 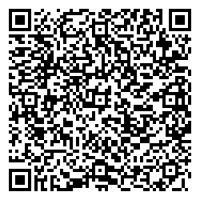 Allow our experienced service professionals to give you free estimate of your project. We are a licensed and insured company. We can help you choose the proper level of service for your home or business, according to your budget. For your convenience, we also have all the parts of the most recognized brands you may need for your work; everything at very good prices. Now we are offering financing services up to 100k if you qualify. We anticipate serving you for all your metal works needs. If you have any question or concern about our services, please, don’t hesitate to give us a call at 786-400-0462, it will be a pleasure to serve you. 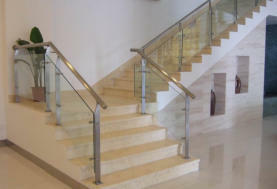 NOW INSTALLING RAILING SYSTEMS FOR HIGH-RISE BUILDINGS, EITHER GLASS OR ALUMINUM!